Relationships can be hard. They cause you to be vulnerable. They cause you to trust that someone else will accept you imperfections and all. That they will be there, even when you blow it big time. That they will forgive you when you cause them pain. Relationships cause you to forgive when that someone else hurts you. Relationships cause you to open up your heart to the best and the worst in someone else and know that the relationship can withstand the tests of time. Relationships are not easy for me. I usually run before I can get to close. Other than my kids, grandkids, ex-husband and his wife, I have no other close relationships. I have no close friends, because I am afraid of opening myself up to that level of vulnerability. I am afraid of being judged. I am afraid of being rejected. I am afraid of being abandoned. God is calling me into deeper relationship with the Sisters of Providence. I have tried to run from this relationship in the past, but God keeps me here. I have so much to learn from the Sisters and I have so much to give. I do not make commitments lightly. 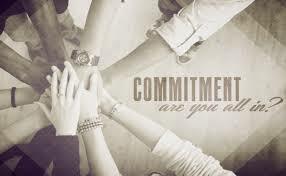 For me, a commitment is a dedication of oneself to someone, a community or a cause. 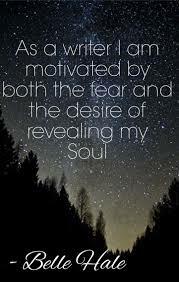 Honestly, I have made commitments and have backed out because of my fear of failure. I have made commitments and then have run because those commitments involve relationships. In this process of becoming a Providence Associate, God is molding me and shaping me into something beautiful. It is sometimes painful though. During my time with God this morning, He spoke these words to my spirit, “Until you are fully committed, I cannot use you here.” These words broke me. To know that I am standing in the way of God using me fully breaks my heart. I have fought for so long to be away from this place that is called Terre Haute that it has become second nature. The grass is always greener in another city, or another place. 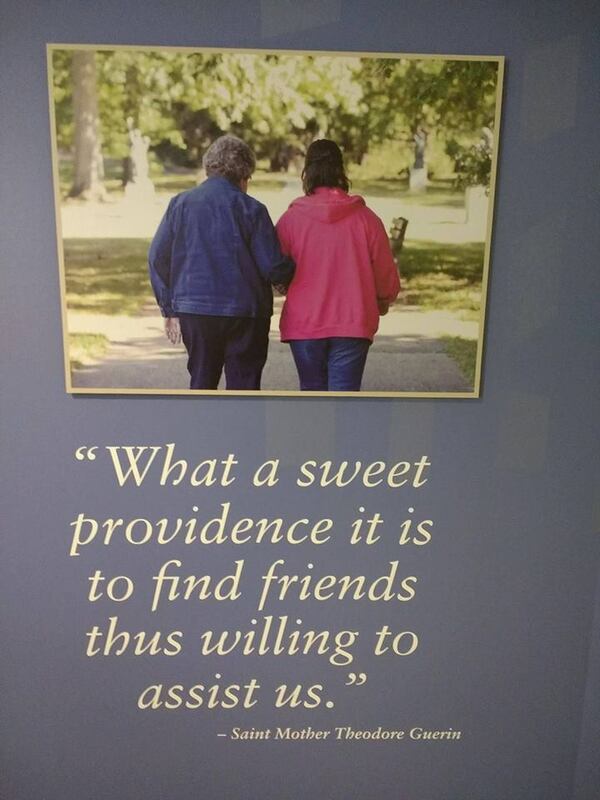 God cannot use me until I become fully committed to being here in Terre Haute and to the Sisters of Providence. God also spoke to me through my daily Bible reading; Proverbs 12:11 Those who work their land will have abundant food, but those who chase fantasies have no sense. There are times in our lives when God has to be real with us or we may never get it. The questions I have to ask myself are: am I ready to fully commit myself to the Sisters of Providence as an Associate? Am I ready to fully open myself up to that vulnerability that comes with building close relationships? Am I ready to open up my heart and share myself, imperfections and all with these Sisters that I love? Am I ready to trust them with my heart? YES! I am ready! Every day is a challenge. There are times when I feel that I have shared to much and I want to run. There are times when I don’t get the reaction that I was looking for and I take it as rejection, so I want to run. My challenge is to allow those times to draw me closer to the ONE who loves me UNCONDITIONALLY and allow Him to mold me as I learn to be vulnerable. There was one other impression that God implanted on my spirit today. God wants me to quit trying to plan my life around the needs of other people or my need to want to be around certain people in my life. I am to put HIM first. I have to be fully committed to God first. I am guilty of this. Unintentionally, I have tried to shove God into my need to be closer to so and so. It doesn’t work that way. I have to be fully present and fully committed to God and what is in my life right now. I have to stop trying to run away and focus on those who are in my life right now. Okay, I’m listening God. 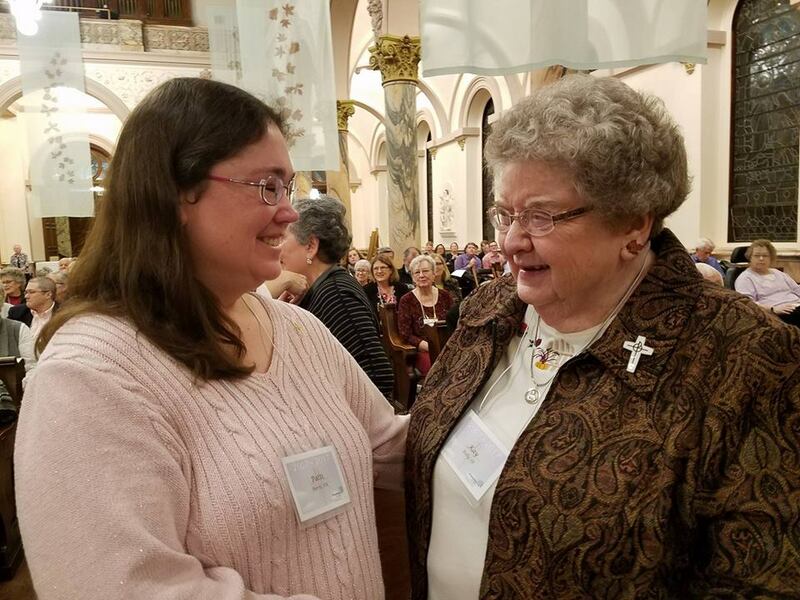 I am excited and scared to see what is around the corner as I fully commit myself to God and as I fully commit myself to this relationship with the Sisters of Providence. But, I am ready. The Sisters have opened up their hearts and their community to me and I am ready to trust them with who I am. The Charism of the Sisters of Providence is Love, Mercy, Justice. They live that out through ministries in different parts of the U.S. and Taiwan. Love, Mercy and Justice is part of everything they are involved in. It is a gift of the Holy Spirit given to the Sisters for the good of the church and the world. I had to think of what my personal charism could be. I found it in the tag line of this blog. 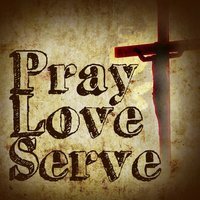 Pray, Love, Serve. This is me. This is who I am. This is the gift of the Holy Spirit to me for the good of the church. This is my gift to the world. When I link my personal charism to the charism of the Sisters, it becomes a unique gift from me to the church. It becomes a unique gift from me to the world in which I live. And we know too that the acceptance of grace itself is a gift, enabling all who receive it with open hearts, hands and minds to partake in the very life of God. The acceptance of grace is accepting the freely given, unmerited favor and love of God. I do not deserve God’s love, but He loves me anyway. I do not deserve His favor and blessing, but He gives it anyway. Will I accept His grace in order to partake in the very life of God? Absolutely!!! The idea that the God of the universe is extending an invitation to ME to live life with Him is mind blowing. He is inviting me to partner with Him in His mission to the world. What exactly does that look like for someone like me? 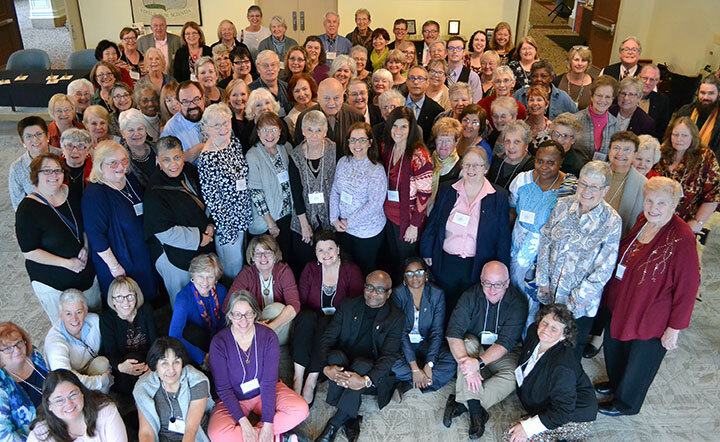 From this common understanding of mission comes our common call: to be Providence in the world today. To be Providence in the world. What does that look like? How can this 46 year-old single mom with anxiety issues be Providence in the world? 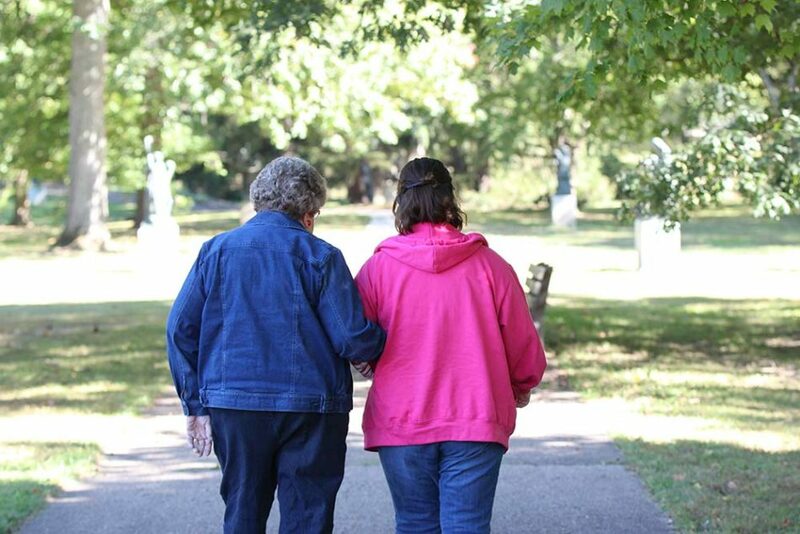 I keep going back to what a sister told me, “this is your ministry.” She knew that I needed a ministry and was reminding me that my job in the food service dept. 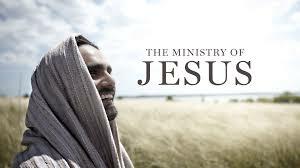 IS a ministry. Initially, it wasn’t what I wanted to hear. A ministry is feeding the hungry, fighting for the oppressed, being a voice for the voiceless, or showing love, mercy and justice to the sisters who have given their lives showing love, mercy and justice to those who need it the most. In the months since this interaction, I have reflected on her words and she is right. Serving the sisters IS a ministry. The sisters are human, they deal with discouragement, pain and sadness just the same as we all do. Being able to pray with and for the sisters is a ministry. Feeding the sisters and their guests is a ministry. Joining with them in their cause is a ministry. Maybe I’ve been looking at it all wrong. Maybe I’ve had the wrong perspective. My job in food services can be stressful and overwhelming. It isn’t what I thought ministry looked like, but maybe it is. Maybe instead of hating it and fighting against it, I need to love the fact that I get to do something for the sisters who do so much for other people. I need to do it for God. My challenge is to look at it as a ministry and not just a job. I need to see it as a service to the sisters, even on bad days when I am ready to run for the door. I need to change my perspective. I never tire of showing the sisters how much I respect them and love them, so I need to hang on to that, when the job itself becomes almost too much to deal with. Using my personal charism of pray, love, serve and joining it with love, mercy and justice in serving the sisters is my ministry for now. This is how I get to Be Providence in the world and I am okay with that.